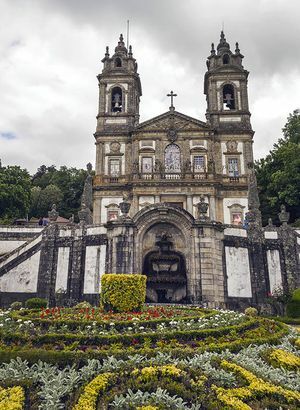 Be amazed at the Bom Jesus do Monte when you visit Braga. Bom Jesus do Monte is located 5 kilometers east of the center of Braga. It is one of the most famous symbols of Portugal. This place is visited each year by numerous penitent pilgrims. This place is composed of a neoclassical church (Sanctuary of Bom Jesus) which stands atop a lush hill from where you can watch beautiful sunsets over the city. 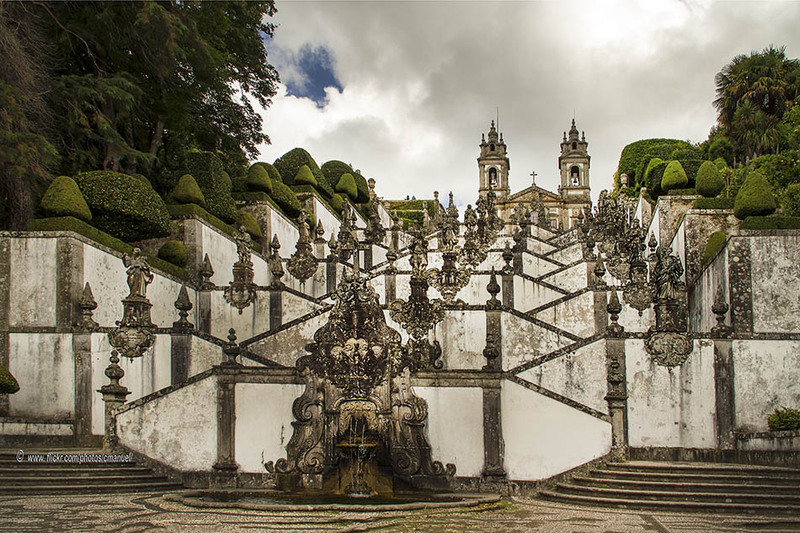 Although its main attraction is the impressive baroque staircase known as Escadório do Bom Jesus. You can visit this area in a bus that makes a route between Avenida da Liberdade de Braga and the bottom of the staircase . This bus runs every half half hour (every hour on Sundays). The price is 1,45 € and it takes no more than 20 minutes. The climb to the Bom Jesus do Monte is done by a succession of steps which date from different decades of the 18th century. The first steps are attached to two chapels representing the Stations of the Cross. Other important steps are the Escadório Dos Cinco Sentidos (Staircase of the Five Senses)which has an allegorical fountain. This fountain has pipes are born in the ears, eyes, mouth and nose of various statues. The Escadaria das Três Virtudes is the highest of them all. It is attached to chapels and fountains that represent faith, hope and charity. There is also a lift (funicular) which costs € 1.10 and it is opened from 8:00 to 20:00. It is also possible to climb to the church through the cobbled roads and footpaths. You can do on foot and by bicycle or horse (riding the price is usually about € 5 per 15 minutes). At the top of the mountain you will also find the Sameiro Sanctuary.